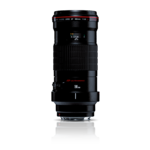 A thoroughly modern design that's optimized for select Canon EOS digital SLRs. 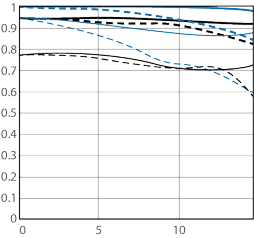 Its angle of view is equivalent to a 96mm lens on a 35mm camera, with a floating optical system that can focus down to full life-size (1:1) magnification. 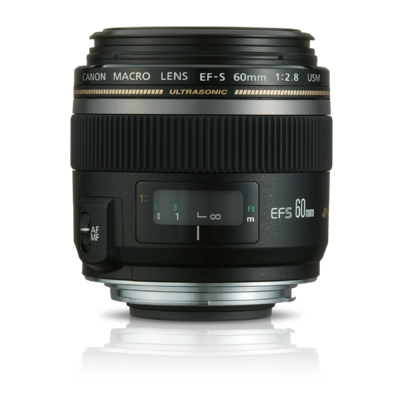 Inner focusing, driven by a silent and powerful ring-type USM, means the lens' overall length never changes during focus. 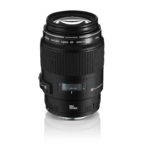 This lens is a wonderful multi-purpose lens that's equally at home shooting macro shots, portraits or available-light photos. 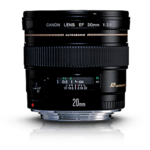 Like all Canon EF-S Lenses, its use is restricted to the EOS 20D, EOS Digital Rebel and EOS Digital Rebel XT cameras (as of February 2005). Macro photography is all about photographing objects that are really close to the lens. 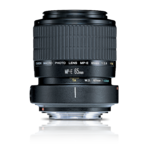 Macro lenses not only let you close-in on a subject, but also allow you to zoom in on a subject that you cannot get close to. Photographer and educator Matt Kloskowski gives some tips on the best way to capture images that are up to 5 times normal size with Canon's MPE-65mm.